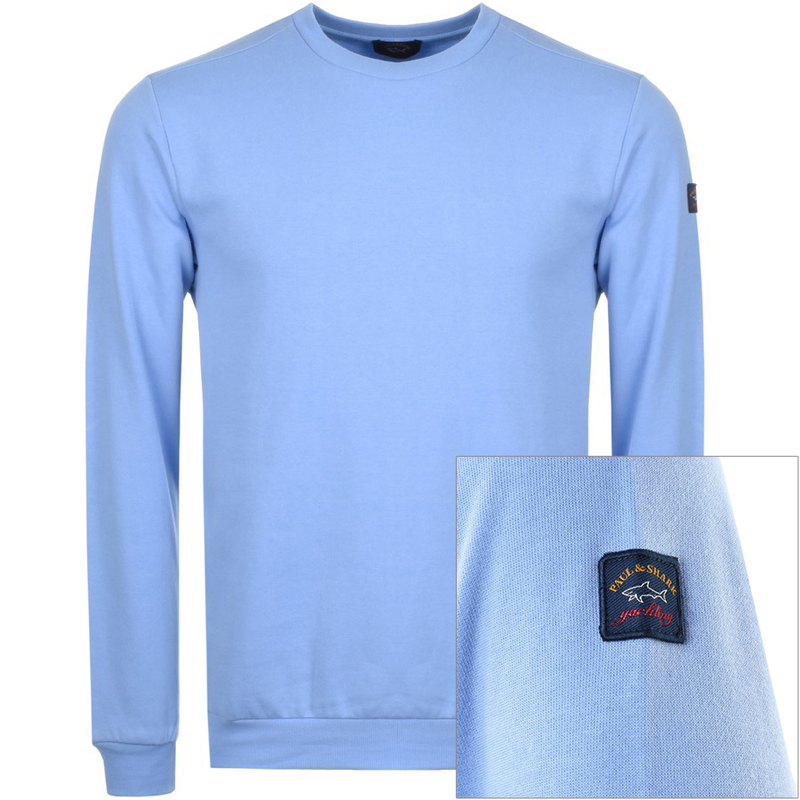 Paul & Shark Crew Neck Sweatshirt Jumper In Blue, A slim ribbed crew neckline with ribbed cuffs on the long sleeves and a stretch ribbed waistband. The signature woven and embroidered Paul And Shark logo patch is situated on the upper left sleeve in navy, golden brown, red and white. Top stitching in blue. 100% Cotton. Part Of The Brand New Range Of Paul And Shark Jumpers, Zip Tops And Pull Overs Live Online.